What are the education needs for the BIPV sector? 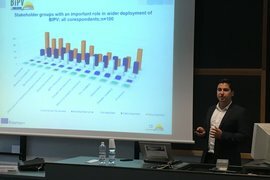 The Dem4BIPV Consortium presented the first results of their analysis at the International Conference on Sustainability in Energy and Buildings (SEB-16) in Turin, Italy on 12 September 2016. The presentation is available for download.